Simply One of a Kind: Weekend again! This weekend we're heading north as there is a reunion from my grammar school taking place in Newcastle-under-Lyme this evening. It's the year that all the girls who began at Brownhills High School for Girls, Tunstall, in 1956 will have reached their 70th year! SO a whole bunch of old girls will be chewing the fat and reminiscing this evening! Should be fun! My cards today are for the Less is More one layer Autumn challenge. Both are really simple and I used one of the new colours of Distress ink, Fossilized Amber, which was a perfect Autumn shade. It's simply a masked panel, stamped with Stamplorations leaves and Paper Artsy splats, with hero Arts sentiment. This one is in very similar vein. Stampin Up's French Foliage being the stamp set this time. Yesterday I had a real senior moment! I decided that after doing lots of die cutting for some wedding stationery which is just approaching completion, my craft room floor would benefit from the services of my Dyson. To cut a long story short, it wasn't picking up the bits so I decided to try to unblock it! Having managed to get lots of it apart I could see all the bits of card which were the source of the problem so removing a piece of tubing and with the services of a knitting needle managed to clear the blockage! Next came about an hour or more looking for a piece of the tubing which was curiously missing! Both my husband and I went through just about everything but this piece was nowhere to be found. (I found a die I had lost which was great). SO I decided to look on the Dyson website and just order a new part. Having identified what I thought was the missing piece I rang the helpline and tried to explain to the operator what had happened and to ensure I had identified the piece correctly. During the course of this hilarious conversation, I realised that in fact the piece was not missing at all, but being made from a spring-like piece of tubing had jumped down into the space and was there all the time...still attached in fact, (I hadn't actually completely removed it as I thought I had, but had just removed it from its clip). Long story short again... My floor is now clean! beautiful cards Chrissie - enjoyed reading about your reunion - my high school friends and i did the same when we turned 70 - i even found a picture of the 8 of us then, took a photo of the "now" and made a card for each of them afterwards. and i haven't thought of the phrase "chew the fat" for ages - my dad always said that - fun rememberings. i will be in your lovely country for the christmas holidays as i visit my family in london every year. 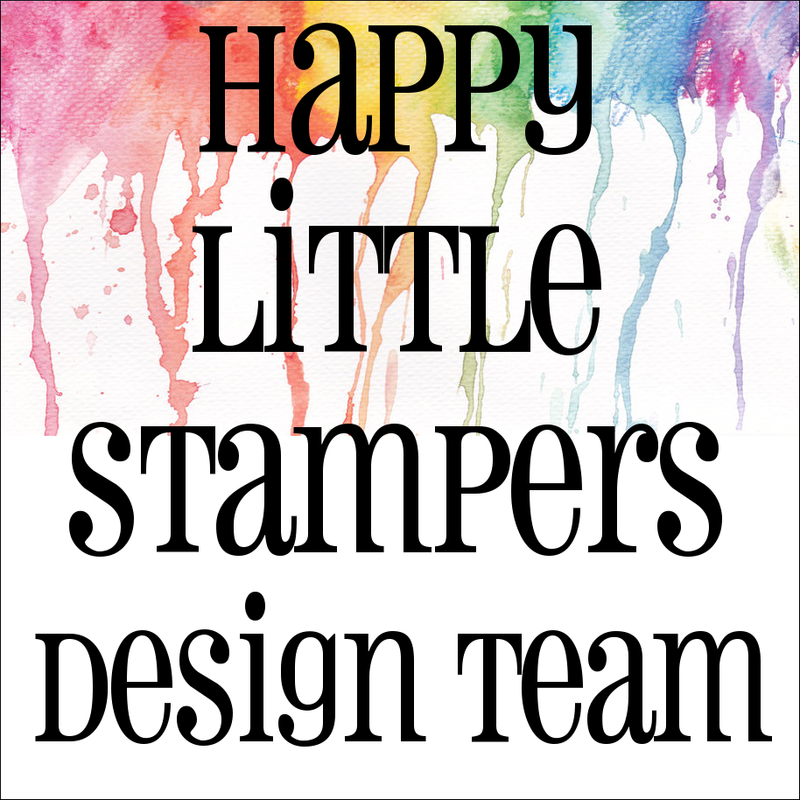 love all the cards you create. Gorgeous cards. The panels on both cards are just beautiful. LOVE those Stamplorations leaves, these are two sumptuous cards! Can you do my craft space floor now yours is done lol! 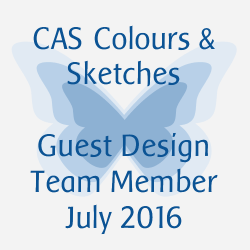 Beautiful warm colours!You used fine techniques for this challenge. What a stunning card with the French leaves; techniques I will have to try. 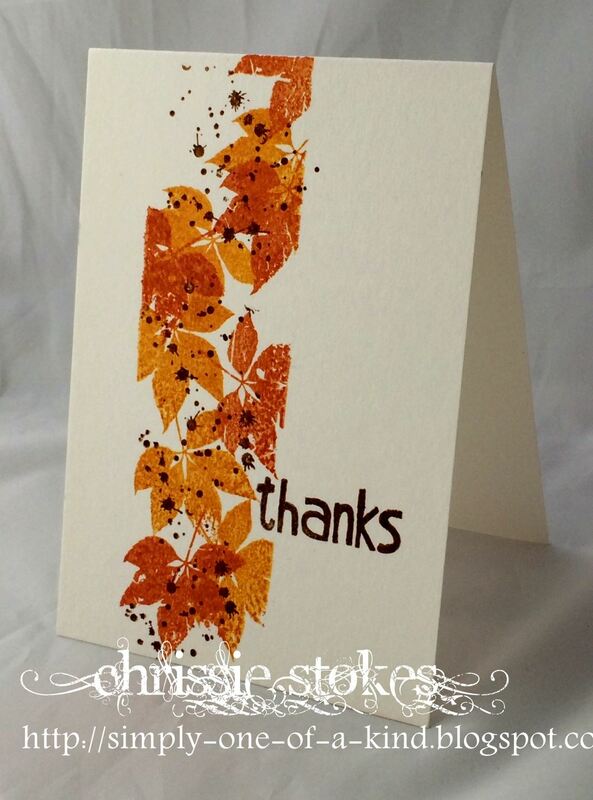 Chrissie, both of these cards are so lovely...warm and autumnal, such rich colors! 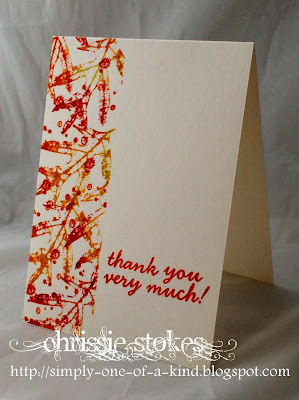 I especially love the first card with the bog leaves...both are fabulous!